Game of Thrones made Peter Dinklage a hot commodity in Hollywood. Now that the series is coming to an end, his schedule is about to become wide open. Deadline is reporting that Dinklage is teaming up with Matt Reeves on his next post-GoT project. The pair will adapt Last Sons of America for Netflix, based upon the Boom! Studios comic book of the same name. Published in 2015, Last Sons of America was written by Phillip Kennedy Johnson and illustrated by Matthew Dow Smith. The comic imagines a dystopian future where Americans are no longer able to conceive children as the result of a chemical weapons attack. The story centers on brothers Jackie and Julian, who making their living as adoption agents in South America and broker deals with families willing to give up their children for lump sums. Dinklage is set to play Julian in the upcoming film. Most recently, he starred in My Dinner with Hervé, a HBO biopic about Fantasy Island actor Hervé Villechaize. He also appeared in Avengers: Infinity War as Eitri. Dinklage will lend his voice to this summer’s The Angry Birds Movie 2 and next year’s The Croods 2. Reeves is focusing on The Batman for Warner Bros. and DC, and will only be producing Last Sons of America. Directorial duties fall to Josh Mond, who made his feature debut in 2015 with James White. Adam Kassan will also produce the film for 6th & Idaho alongside Dinklage and David Ginsberg for Estuary Films, and Ross Richie and Stephen Christy for Boom! 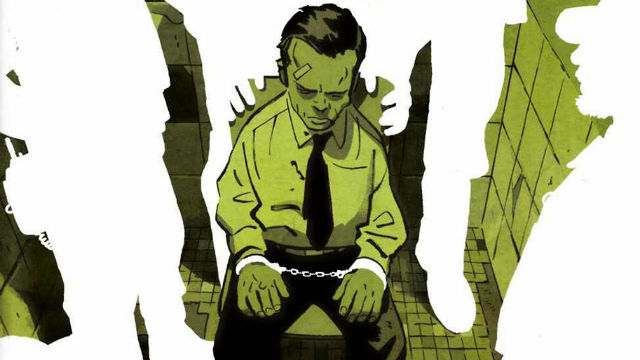 Are you excited for Last Sons of America to be getting a film adaptation? Tell us what you think in the comment section below!